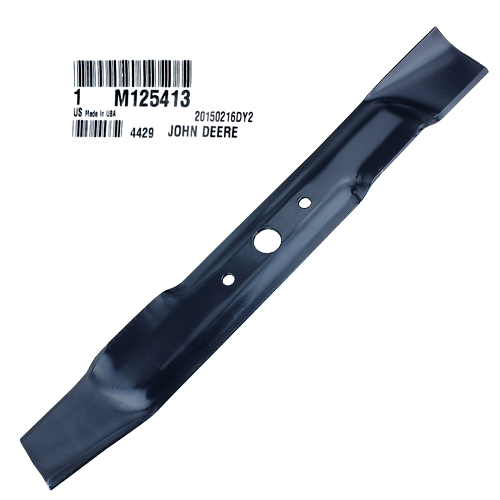 This John Deere #M125413 lawn mower blade is manufactured with a combination of carbon and boron to provide hardness for a long life and sharp edge without breakage. John Deere conducts extensive testing to ensure wear and longevity on all products. A genuine John Deere Original Equipment (OEM) part. NOTE: Blades sold individually. Your mower may require more than one blade. Be sure to order the right number required for your model. Mowers using this blade usually require 1 blade.